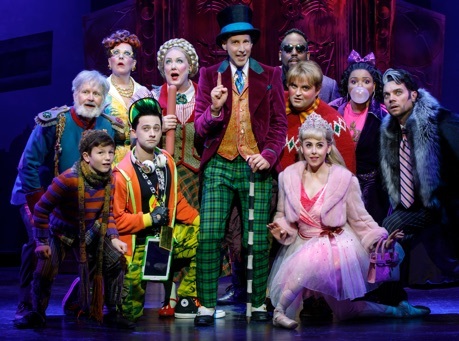 The musical Charlie and the Chocolate Factory is advertised as a family show suitable for ages six years and older. And yet the production currently playing in Toronto includes a scene of a girl exploding with her father wiping bits of her off his face and a more graphic scene of another girl being pulled apart alive with her head being thrown in a trash bin. Not only that, but the musical presents the chocolate factory owner Willy Wonka in such a morally dubious light that it is doubtful whether our young hero Charlie should actually regard him as a role model. How did many people’s favourite book by Roald Dahl (1916-90) come to be so distorted? In the original no children are killed let alone dismembered. Two of the five (Augustus and Veruca) presumably die in the 1971 film version Willy Wonka & the Chocolate Factory but none do in the 2005 remake Charlie and the Chocolate Factory. The impulse to make the story more ambiguous and grisly seems to have arisen when the musical was revised for Broadway. When the musical Charlie and the Chocolate Factory directed by Sam Mendes played in London’s West End, it ran for three and a half years and included no onstage child deaths. The show underwent a major revamp before it opened on Broadway directed by Jack O’Brien where it ran for less than one year. The most obvious conclusion is that the revamp made the musical worse not better, yet it is the Broadway version that is now on a North American tour and has just opened at the Princess of Wales Theatre as a treat for Torontonians for the holidays. 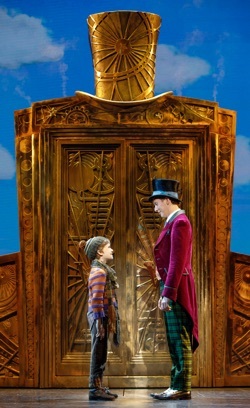 There are some excellent performances and lots of special effects, but as a whole Charlie is unengaging at best and revolting at worst with a story that doesn’t make sense and is filled with little warmth or sympathy – thus rather the opposite of what one looks for in a family show at this time of year. 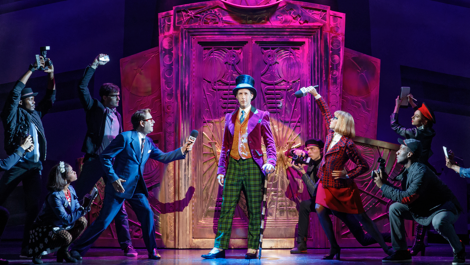 The main change that Scottish playwright David Greig has made in his Broadway version of Dahl’s popular 1964 story is to start off the show with world-famous chocolatier Willy Wonka himself (Noah Weisberg). Wonka has left the fortress-like compound where his chocolate factory is located to find someone to take over the business for him since, despite his youthful looks, he is extremely old. To see if there is still interest in Wonka candies although the factory has been closed for years, Wonka (in disguise) has opened a small shop. 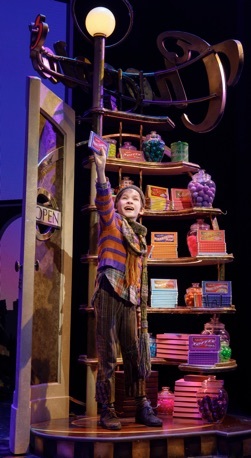 The shop is overrun with fans of Wonka candies but one small boy, 11-year-old Charlie Bucket (played by Henry Boshart on opening night) shows more interest and knowledge about Wonka candies than anyone else and besides that has ideas that Wonka adopts like advertising on television. The problem is that Charlie is too poor to buy any candy. One would think, since Wonka has his most instructive conversations with Charlie and that Charlie knows more about chocolate than anybody Wonka has met, that Wonka would ignore Charlie’s poverty and realize that in Charlie he has found his heir. and, after having lost all hope, finds the fifth ticket. Act 1 closes with the five winners and their accompanying adults about to enter the chocolate factory. The problems Greig creates for himself in his revision are in introducing Wonka and his plan right from the beginning and in having Wonka and Charlie meet and get along so well. In Greig’s scheme there is no way in which Wonka comes off well. If Wonka doesn’t recognize, as we do, that Charlie is his ideal heir and rejects him because he is poor, then Wonka has no insight and is an elitist. If Wonka somehow is behind Charlie’s getting a Golden Ticket, then he is being extremely unfair to the other four children whose hopes he has raised. The solution to this problem is to have Wonka and Charlie not meet at all before the Golden Ticket promotion and, guess what, that is exactly what Roald Dahl does in the original story. In the the US version the idea of having the show start with Wonka singing the show’s best-known song “The Candyman” (originally written for the 1971 movie by Leslie Bricusse and Anthony Newley) overrode making any sense of the story or of Wonka’s moral character. The problem with Act 1 is that it is all build-up with no payoff. It ends just before the Golden Ticket holders are to enter Wonka’s factory. To fill in the time the musical gives us a depressing glimpse of Charlie’s family where all four of his grandparents live at home and are bedridden. Greig has killed off Charlie’s father who appears in the book and the British version solely for the purpose, it seems, of allowing Charlie’s mother (Amanda Rose) to sing the only song about love, “If You Father Were Here”, in the entire show. The family lives on rotten vegetables whose putrefaction is described by the vegetable seller Mrs. Green (Clyde Voce) in terms that are more nauseating than amusing. Act 1 is also filled out with a song by each of the children who find a Golden Ticket before Charlie does. All four are obnoxious. Augustus Gloop (Matt Wood) from Bavaria is morbidly obese, the would-be ballerina Veruca Salt (Jessica Cohen) from Russia (from Britain in Dahl) is a spoiled brat, the bubble-gum chewing champion Violet Beauregarde (Brynn Williams) from California touts herself as the Queen of Pop (popping bubble-gum, that is) and the video-game-addict Mike Teavee (Daniel Quadrino) from Iowa has to be physically restrained to keep him from criminal activity. Given how horrid the four children are we have to wonder how Wonka’s plan to find an heir through randomly distributed tickets could possibly succeed. into fudge. Violet rejects Wonka’s warning not to eat a candy that contains a three-course meal. In the book and the the British version of the musical she expands into a large blue sphere. The US version decides to have her explode off stage and splatter her father and the stage beside him with her innards. This charming incident is followed by one where Veruca defies Wonka’s order and enters the Nut Sorting Room. In the book and the British version of the musical she and her father are merely thrown down the trash chute as “bad nuts”. In the US version, Greig has decided that the squirrels who sort the nuts should first tear Veruca limb from limb. The only one who lives is Mike, who merely shrinks himself to TV size by trying to use Wonka’s live television broadcaster. In Dahl’s book, we see all four of the first ticket holders leave the factory alive. In the US version of the musical, once a child is killed or shrunken, we never see them again. What is disturbing through all this supposedly comic horror is that Wonka, as Greig depicts him, could care less what has happened to the children. Never seeing the other ticket winners again is one thing, but we also, unlike the book, never see Charlie’s mother or grandparents again. This is an even worse mistake in storytelling since does not satisfyingly complete the narrative circle. Greig deprives us of the chance to see Charlie’s impoverished family benefit from Charlie’s success. All we have at the end is Charlie in a glass elevator with his morally dubious mentor. Mark Thompson scenic design is bizarrely bifurcated. In Act 1 he concentrates on interesting, highly detailed set pieces pushed on and off stage when needed. One of the most elaborate is the Bucket family’s entire rickety two-storey house with all four grandparents in the single upstairs bed. Rather like the classic film of The Wizard of Oz, Act 2 replaces the dingy greys of Charlie’s life with ultra-vivid colours. Thomson’s main set is Wonka’s eye-poppingly bright island of completely edible flora. Surrounding the island are three sets of legs and borders each fused together as a single LED panel. The great misfortune is that Thomas gives over creating sets to Jeff Sugg’s projection designs, or rather programming the three LED panel frames with animation. When a rectangular LED panel is lowered to fill in the gap left between the legs, the show turns into something like an animated movie fronted with live actors. Not only does this contradict the sense of the show’s second most famous song “Pure Imagination” (also by Bricusse and Newley) but it ignores Dahl’s savage satire of television in the guise of Mike Teavee. From Act 2 on the show simply becomes a series of electronic rather than theatrical effects. The prime exception to this is the puppetry designed by Basil Twist. The three-foot-tall red-haired Oompa-Loompas, who work for Wonka are extremely clever puppets manipulated by the black-clad chorus with their heads serving as the puppets’ heads. Also wonderful is the effect Twist designed of Mike Teavee shrinking himself to television height so that his mother can then pick him up and put him in her purse. One only wishes this level of invention pervaded the entire production. It’s doubtful whether even a superb cast could bring off such an inherently flawed show, but here the cast is uneven. Most impressive of all is Henry Boshart, who played Charlie on opening night. (Boshart rotates in the role with Collin Jeffery and Rueby Wood.) Boshard sang, danced and acted effortlessly and held the show together more than anyone else. He poured so much feeling into Charlie that he made the character the only one we cared about and the only one who seemed more than a cartoon. Noah Weisberg makes Willy Wonka such an dubious figure that even by the end you don’t know quite how to assess him. At first you think he is merely eccentric or mischievous, but as the show progresses and we see how daft his Golden Ticket plan is and then how insensitive he is to children’s deaths, Weisberg’s Wonka starts to look more borderline psychotic than funny. By the end we feel that Charlie should really repudiate Wonka rather than be glad that such a weirdo wants him to be his heir. James Young is very funny as Charlie’s ancient Grandpa Joe, who seems to have been present at every major US disaster including Custer’s Last Stand. Amanda Rose has far too little stage time as Charlie’s mother since she is the only adult to bring any feeling of humanity to the show. The first four Golden Ticket winner and their parents are all well paired. The problem is that not one of the pairs is able to sing the Shaiman and Wittman patter songs clearly enough so that we understand anything they’re singing. As actors Madeleine Doherty, who plays Mike Teavee’s doting mother, is the funniest not merely because she both looks and behaves so much like a woman who has deliberately remained stuck in the 1950s, but because she so well conveys Mrs. Teavee’s willful ignorance of her son’s complete uselessness. As Shaiman and Wittman demonstrated in their hit Hairspray (2002) they are excellent in imitating the musical styles of other periods. They do so here but with less impressive results. You are much more likely to exit humming either “The Candyman” or “Pure Imagination” by Bricusse and Newley included from the 1971 movie than you are any song by Shaiman and Wittman. If you like your family shows during the holidays to be loud, garish and more than faintly nauseating in their ideas and execution, you may not mind spending two and a half hours with a show that is all build-up that leads without tension to a foregone conclusion. Matilda the Musical (2010) is also based on a Roald Dahl story but manages to be satirical while also being emotionally involving and theatrically inventive. If you are hoping Charlie and the Chocolate Factory is another Matilda, you will be greatly disappointed. For a family entertainment over the holidays seek out something less morally and narratively confused and more genuinely funny and uplifting than this fatty, unwholesome confection that is Charlie. Photos: (from top) Noah Weisberg as Willy Wonka and company; Henry Boshart as Charlie Bucket; Henry Boshart as Charlie Bucket and Noah Weisberg as Willy Wonka; Noah Weisberg as Willy Wonka and company. ©2018 Joan Marcus.